Q1: Study sources 1, 3, 6, 9, 11 and 13. Describe the work these women are doing. Why do you think most of these women have their heads covered? A1: These sources show women reaping (1 and 6), raking (9), sowing (1), banking (13), milking (3), spinning and carding (11). Men found women's hair very attractive during the Middle Ages. Therefore, once a woman got married, she was expected to keep her hair covered. 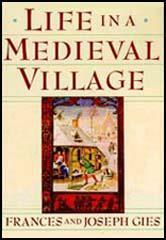 Q2: Select passages from the written sources in this unit to show that women worked very hard during the Middle Ages. A2: Sources 2, 7, 8 and 10 suggest that women worked very hard during the Middle Ages. Source 1 provides information on a widow from Frochester. As well as farming 24 acres, Margery had to supply labour services to the lord of the manor. This included ploughing, mowing, haymaking and weeding. In source 7 William FitzHerbert describes some of the jobs that women were expected to do. This included spinning wool, making clothes, washing clothes, selling food at the market, shopping, cooking, ploughing and harvesting. Q3: What type of sources would a historian need to study if he or she wanted to write a book about the kind of work women did in the village? A3: There are several types of written sources that the historian could consult. Manor records (source 1) would provide information about labour services provided by widows. Books giving advice (sources 4 and 7) would provide details of the kind of work women were expected to do in the village. Poetry written by people like Chaucer and Langland would also be useful sources. Letters sent by lords and ladies of the manor might also include information about the work that women did. Visual sources would be vitally important to a historian studying this subject. Manuscript illustrations (1, 3, 6, 9 and 11), paintings (13), woodcuts; engravings and stained glass windows would all be worth consulting. Q4: Do you think that everyone who was alive in England in, say 1340, had an equal chance of being known about today? Use your knowledge of the sources available for this period to answer this question. A4: No, everyone living in 1340 did not have an equal chance of being known today. For example, Edward III was king of England in 1340. We have a large number of sources about Edward III (letters, writs, charters, chronicles, paintings, etc.). This is also true of other powerful people such as bishops and earls. People who controlled large estates wrote letters, issued documents and kept account books. They were also likely to be mentioned in other people's documents. However, most people who lived in 1340 have left no record of their existence. Some are referred to in the manor records but unfortunately most of these records have not survived. Even when they do appear in the records, we only have the odd detail about them. Because most peasants were illiterate, we do not know what they thought about life in the Middle Ages. The vast majority of sources that have survived tell us about life in the Middle Ages through the eyes of the rich and powerful men. Q5: Sources 4 and 7 are both taken from books that gave advice on farming. Historians would use sources such as these to discover the kind of work that women did during the Middle Ages. Why is it difficult for a historian to obtain detailed information about the work of women from books like these?